Wedding reception chair sign covers for the Mr and mrs. These burlap chair covers are the perfect rustic accent for a wedding reception. 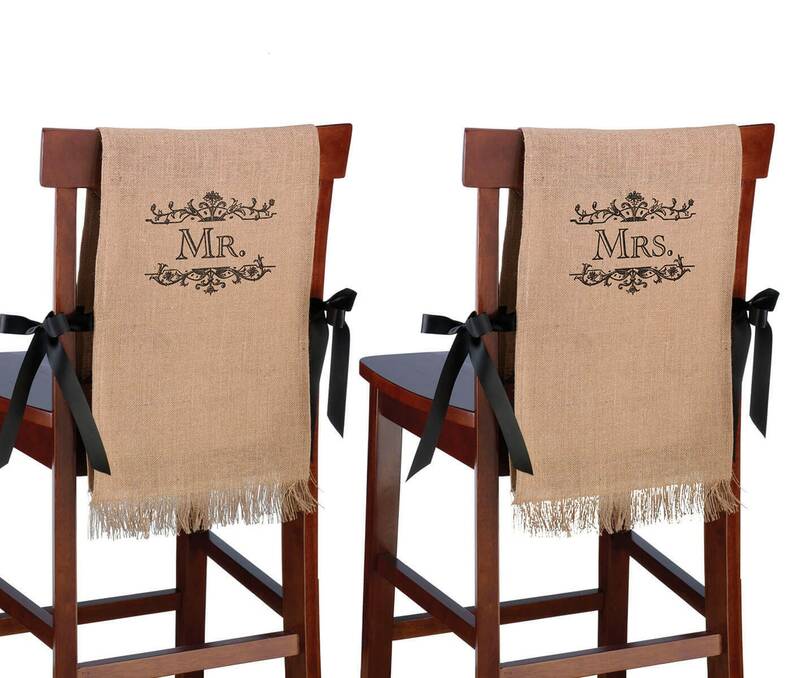 The words "Mr." or "Mrs." appears on each chair cover to elegantly designate where the couple will sit. Each cover measures 40" x 11.25"